When it comes to allergies, there’s no one-size-fits-all treatment for sufferers. Each and every patient dealing with asthma, eczema or hives has a different set of triggers causing their suffering. In order to combat these specific triggers, the experienced allergists at Allergy & Asthma Specialists are committed to finding the most scientifically advanced treatments available—like personalized medicine. Biologic drugs are helpful for patients who cannot get their asthma under control with the help of inhalers and pills. 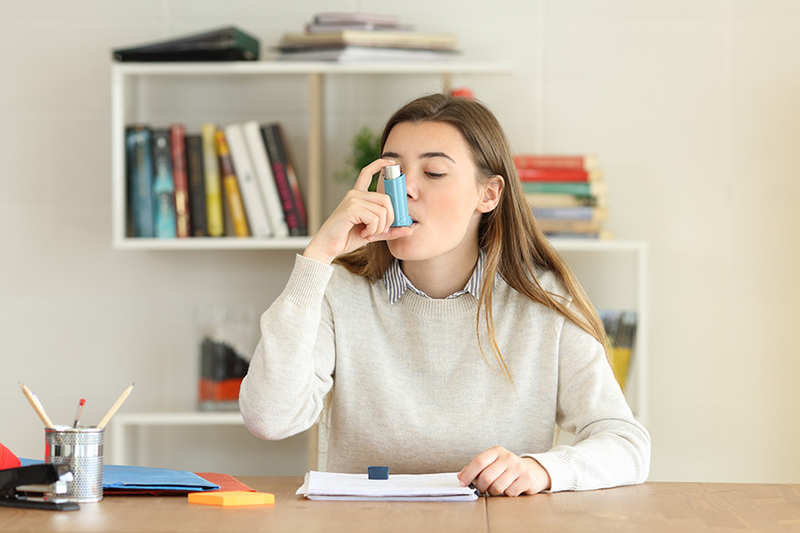 There are several effective biologics allergists are using to decrease the number of asthma flares, the need for prednisone and to improve lung function. Medications like Xolair, Nucala and Cinqair are full of antibodies that decrease allergic responses in patients. Xolair blocks the allergic antibody called IgE, while Nucala and Cinqair target a chemical called IL-5, which blocks eosinophils, a cell that inflames the lungs of patients with asthma. Not only is atopic dermatitis, or eczema uncomfortable, it can be embarrassing for patients suffering from dry, scaly skin. Right now, the extremely challenging and hard to control condition affects more than a million adults in the United States. For those suffering from stubborn eczema, not well controlled with prescription therapies, allergists are suggesting Dupixent. The biologic often provides a dramatic result of clear or near clear skin. It can also be used with or without topical corticosteroids and blocks allergic inflammation by targeting a specific immunologic receptor. Allergists are also hopeful that it can be used to treat asthma, and nasal polyps. Chronic urticaria, also known as hives are itchy, red welts that persist for six weeks or more. They’re frustrating, uncomfortable and can interfere with daily activities. Xolair, which is also used for asthma, can treat chronic hives in adults and children over the age of 12. If antihistamines haven’t helped, Xolair is a great option to reduce the flares and severity of the itch. Ready to find life-changing relief? Schedule an appointment at an Allergy & Asthma Specialists location near you, call 1-800-86COUGH, extension 2 or visit their website today. Offices are located in Center City Philadelphia, King of Prussia, Blue Bell, Jenkintown, Doylestown, Lansdale, Collegeville and Pottstown.